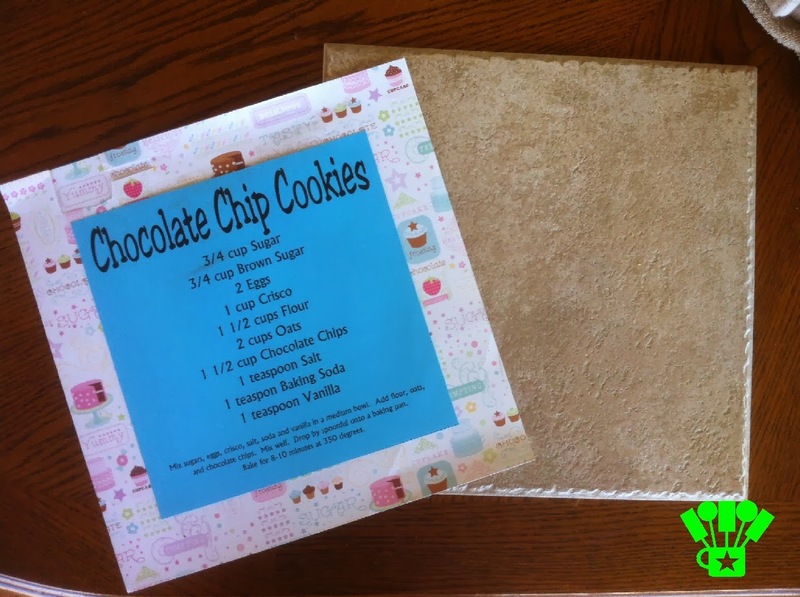 A few years ago I went to my Sister-in-Laws house and she had our family Chocolate Chip Cookie recipe on her kitchen wall in vinyl. I absolutely loved the idea. It was a fun and functional decoration idea that gave the kitchen a bit of sweet pizazz. Unfortunately, I am a renter. So putting a vinyl recipe on my wall was not really practical. So for the past few years, I've just put the idea in the back of my mind and let it simmer. While wondering around my local ReStore I found some 12 inch tiles that sparked my creative juices. I bought a few and took them home to play. 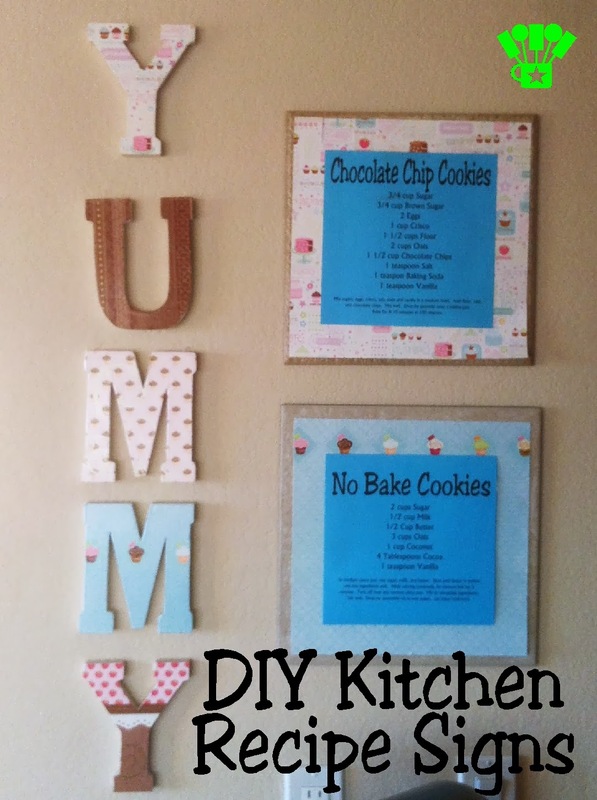 I ended up with these cute Kitchen Recipe Signs to decorate my kitchen wall. I started with my favorite paper pack, The Sweet Paper Stack . (Do I use this pack for everything? Why yes, yes I do. I love it.) Since the papers are 12 inches, it made it pretty easy to use as a base for my design. 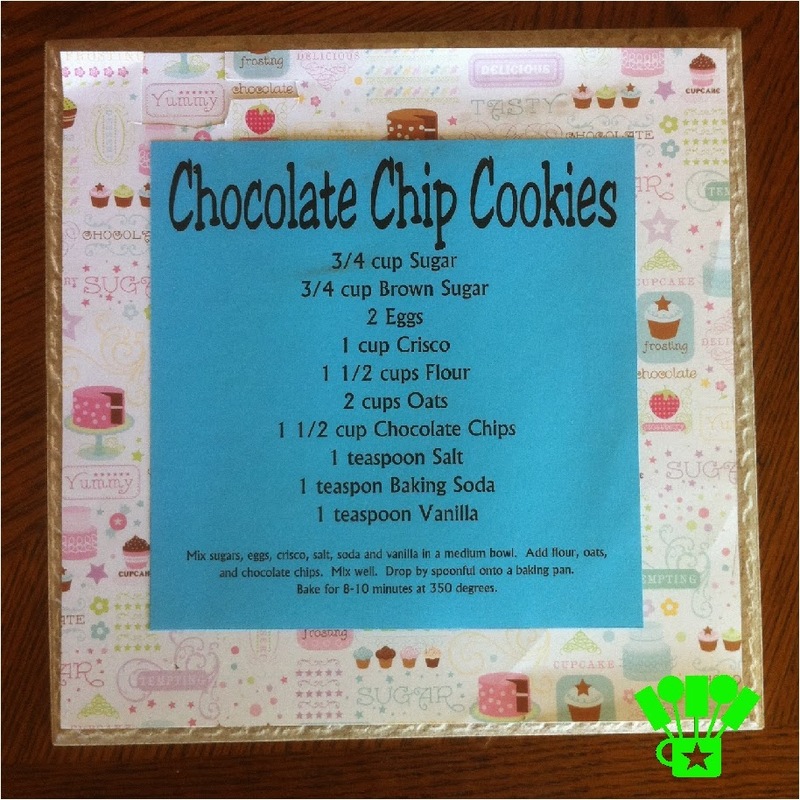 I printed out my cookie recipe on a blue piece of cardstock and cut it to 10 inches. I glued the cookie recipe to the center of the cupcake paper. Then I glued the cupcake paper to the tile. 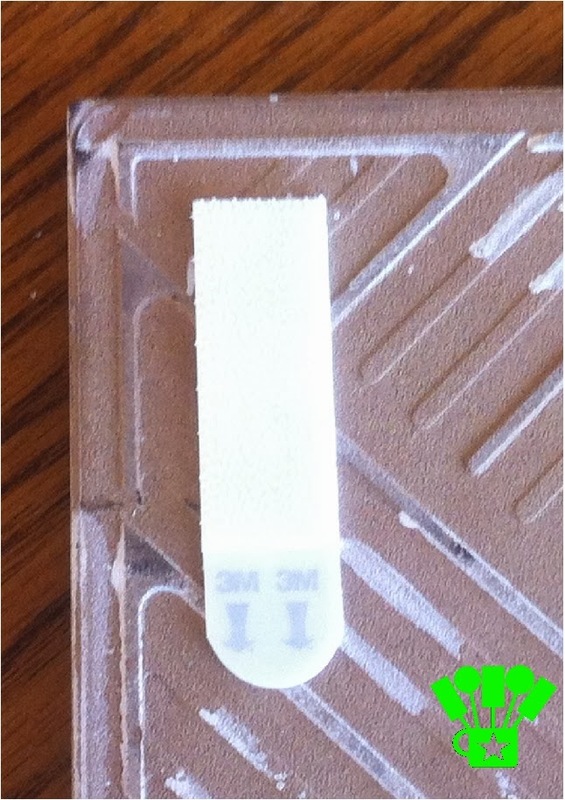 If you use really good double sided tape, that works too. Just don't use the cheapy stuff because that doesn't work. To hang the tile on the wall, I purchased some Command Medium Picture-Hanging Strips . These are the best thing EVER if you are a renter. They allow you to hang pictures on the wall and not damage them. To hang the tile, I stuck two of the Command Strips together and hung them on the wall. Then, I stuck the tile to the hooks and held it there for a few minutes. When I thought it was stuck good, I carefully pulled the tile off taking the top hook with the tile. Then I let the tile sit for about an hour to make sure the stick was good. After the hour was up, I stuck the tile back on the wall and had my recipe decoration. 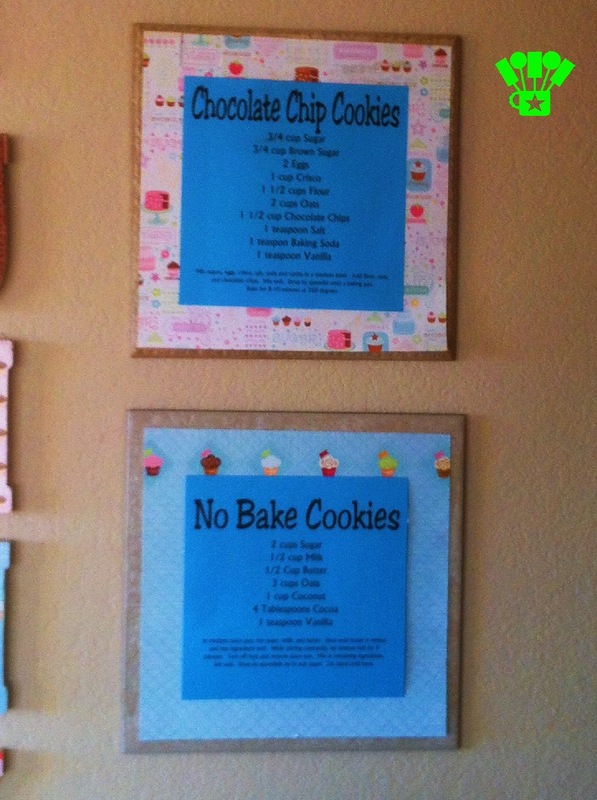 I finished it up by making two recipes and hanging it on my kitchen wall next to my YUMMY sign. I have to admit I LOVE how it turned out! Now I have a fun recipe sign that I can take with me when I move. YEA! Are you a renter? If so, how do you decorate so you can take it all with you?